Visuals can really grip you into the world of whatever video game you are playing. Graphics have evolved a lot over the years and this aspect of gaming has undoubtedly become one of the top concerns for gamers of our generation. But what’s the point of having all those beautiful visuals if you can’t really enjoy them to their fullest? That’s where a great display for gaming becomes a must. 1440p monitors are rising in popularity and are common to be seen in a lot of high-end setups. This is not surprising to at all because 1440p looks absolutely stunning and is much cheaper than 4K. The difficult thing is choosing one. The market is absolutely flooded with a lot of options from many manufacturers, fret not! As this article is going to help you choose the best 1440p Monitor for yourself. It’s been a couple of years since this amazing display was first launched. Despite that, this is still the best high refresh rate 1440p monitor that you can get your hands on. This beast of a monitor seems to have it all. A super fast high refresh rate up to 165Hz, a stunning IPS panel, G-sync support, and impressive color accuracy. Apart from a few reports about quality control, the PG279WQ seems to have it all. One quick glance at the ROG Swift PG279Q will assure you this is a high-end gaming monitor. It has aggressive, angular styling and light up ring at the base along with a ROG logo. Despite this, the monitor does not appear to be in your face all too much and paired with the slim bezels, it looks very sleek. Matte black plastic has been used here and overall build quality is excellent. The stand is also sturdy and includes height adjustment along with twilt, swivel and it can be rotated fully vertically. Moving onto the image quality, the PG279Q is still nothing short of amazing. The IPS panel gives great viewing angles that we expect to see along with impressive contrast, color accuracy and bright. For a gaming monitor, this is more color accurate and better in terms of overall image quality than a lot of displays. Dell has been making monitors for quite a while now. They are known for their exceptional image quality and color accuracy. 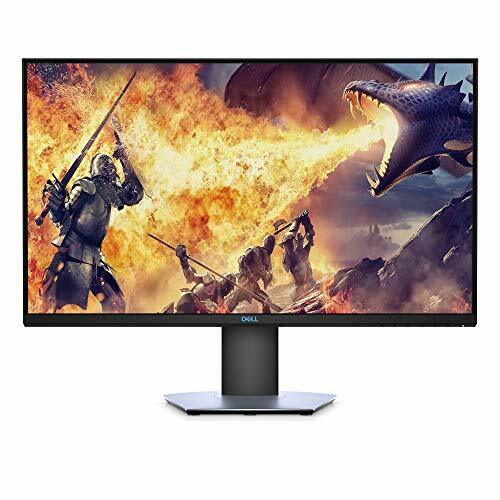 Well, their 27″ 1440p Freesync monitor, the Dell S2719DGF (horrible name, we know) brings the great image quality we expect, to the gaming world. Sure, it’s a TN panel but this monitor brings a high refresh rate capped at 155Hz along with low response times to make an incredibly fast monitor aimed at users with an AMD card. All of that with a competitive price to put the cherry on top. 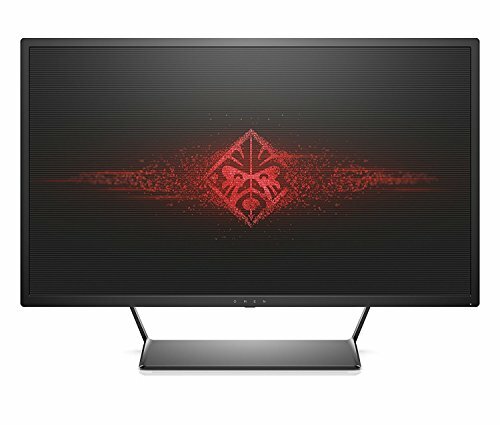 The S2719DGF from Dell has a much more muted design compared to other monitors labeled as “Gaming”. This could easily fit into an office workspace and go un-noticed as a regular monitor. The bezels are very slim and that gives the panel a sleek look. The stand also feels very sturdy and has your standard height adjustments. The display supports tilt, swivel, and full portrait rotation. As far as connectivity goes, it has one HDMI 1.4, HDMI 2.0 and one Displayport 1.2. It also has a headphone jack built in. Moving on to the display itself, the actual image quality was quite impressive. For a TN panel, it doesn’t have a lot of the issues you’d expect from one. The panel has accurate colors, good contrast, and brightness. Of course, the viewing angles are still not great because of the TN panel. Apart from that, this display looks great. It also runs great. If you have an AMD card, this is one of the best monitors you can get. It has a high refresh rate of 155Hz paired with low response times and almost no input lag. All of this adds up to an extremely smooth and fast gaming experience. Freesync also means you will have a much smoother experience if you pair this up with an AMD card. Overall, this is one of the best value high refresh rate 1440p monitors on the market. For the third spot on our list, we decided to go with a monitor that had a bit more real estate. This is the OMEN from HP. At 32″ it brings impressive image quality at a bigger size. It also looks gorgeous with its unique design. Paired with Freesync support and low response times, it brings a smoother experience to the larger screen size. Let’s quickly go over the pros and cons. The OMEN from HP has a very unique design. It has a large sturdy base which holds the huge 32″ panel up top. Overall build quality is very impressive and the monitor has a heft to it. It uses a combination of metal on the base and matte black plastic on the extremely slim bezels and on the back. For connectivity, the monitor has Displayport and dual HDMI along with a USB 2.0 hub. Moving onto image quality, the panel is bright and colorful. The contrast is a bit disappointing but nothing you can’t tune in the settings. Once its calibrated properly, the monitor has amazing image quality. Still, we would have liked to see better viewing angles on a screen this size. But that’s to be expected from a TN panel. For gaming its about as good as you’d expect. 1440p still looks pretty good even at 32″ and the bigger size is definitely more immersive. Low input lag and response times also result in a smooth experience. The only thing we don’t like is that the panel is capped at 75Hz. Had it been a higher refresh rate panel at this screen size, it would have been placed higher on this list. Truth be told, that’s not a huge dealbreaker for the price. BenQ finds the fourth spot on our list with one of their cheaper 1440p offerings, the GW2765HT (another horrible monitor name). This is more of a no-nonsense monitor. Its 1440p at 27″ and it gets the job done. No fancy G-sync or high refresh rate to be found here. The one true highlight of this monitor is that it has an IPS panel. That makes it one of the cheapest 1440p IPS monitors on the market. 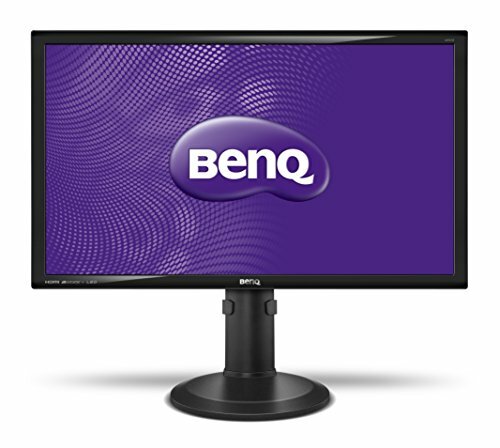 This monitor from BenQ has a much simpler design compared to everything else on the market. Its nothing impressive but the build quality is decent at least. The bezels are slim and surrounded by this glossy black plastic. The stand also appears to be sturdy. As for connectivity, it has dual HDMI and Displayport 1.2 support. Moving onto image quality, this display is actually quite impressive for the price. Sure it might lack G-sync or a higher refresh rate and at first glance, it actually blends in with the rest of the budget monitors. But what makes it stand out is its incredible image quality due to that IPS panel. The display is bright and has decent color accuracy. Viewing angles are good although the contrast is a bit off. Still, nothing short of amazing for the price. It might not be the most exciting display on this list, but it’s a great budget pick. Wrapping up our list, we decided to with a monitor that combines G-sync along with a higher refresh rate at a cheaper price. The Dell S2417DG accomplishes that but with one major caveat. That’s the screen size. 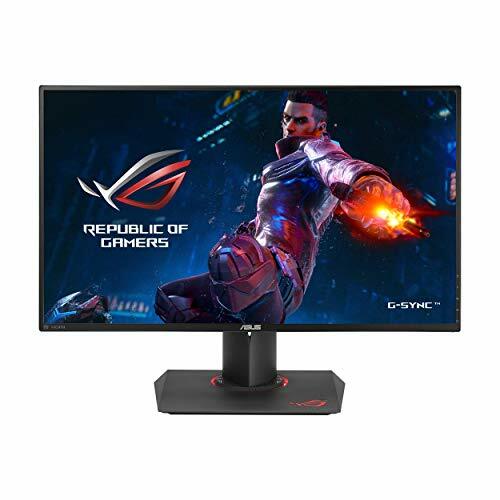 If you can look past the 24″ size then you might appreciate the combination of G-sync, 1440p, and high refresh rate all in one place at a relatively affordable price. This 24″ monitor from Dell has a very understated look to it. It uses mostly black plastic all around and has a sturdy stand. Paired with slim bezels, the monitor looks sleek and would fit in any setup with ease. The overall build quality is solid and it has your standard height adjustment along with pivot, tilt and swivel movements. Moving onto the fun part, the actual panel itself. The display is bright and colorful. The contrast isn’t anything impressive though. That is to be expected from a TN panel. Viewing angles are also poor. The monitor makes up for those complaints with its incredibly fast display. Low response times, almost zero input lag and the 165Hz refresh rate make this a very smooth monitor to game on. 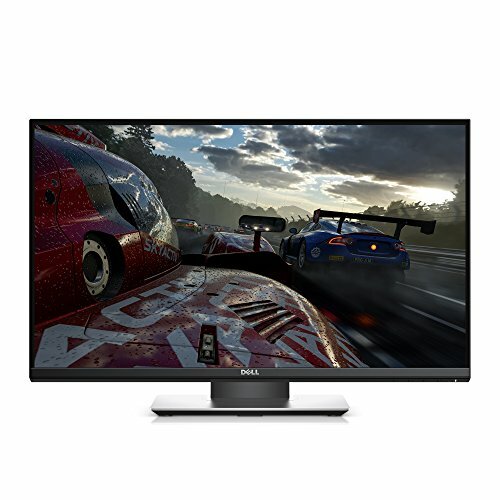 Pair that with G-sync and we have a great monitor for the price. If you can look past the screen size, its a great value for the money. 1080p 144hz vs 1440p 75hz: Which Should you buy and why?